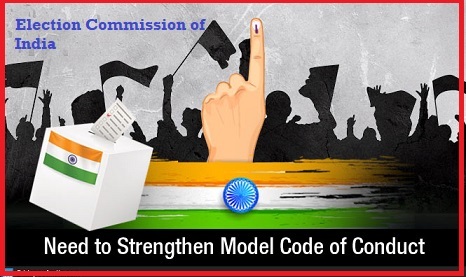 Election Commission of India (ECI) on 27th September 2018 has proclaimed that the 'Model Code of Conduct' will be applicable to the caretaker government till the formation of new government, in case of premature dissolution of the state assembly. The poll panel referred the Supreme Court verdict in the SR Bommai case that the caretaker government should merely carry on day-to-day governance and desist from taking any policy decisions. Until now, the Model Code of Conduct was applicable only with an announcement of poll schedule by the Election Commission. The Model Code of Conduct is a set of guidelines released by the Election Commission of India to conduct free and fair elections in the country. These guidelines lay out the instructions to be followed by both candidates and political parties contesting elections. These instructions on campaigning, general conduct and meetings remain effective till the entire elections process is not completed. In cases of premature dissolution of the legislative assembly, the model code of conduct will come into operation with immediate effect and continue to remain in force till completion of the election to constitute the new assembly. The ECI significant order of 'Model Code of Conduct' will have an immediate impact in poll-bound Telangana where the K. Chandrashekar Rao government is continuing as a caretaker government after it dissolved the state assembly around nine months in advance.